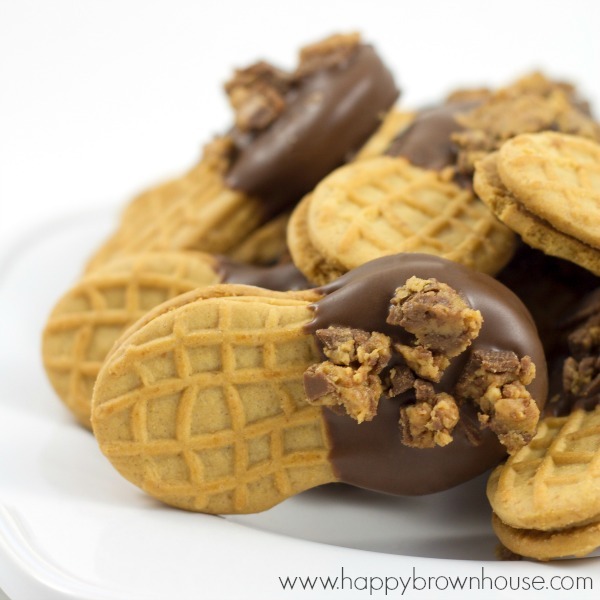 Chocolate and Peanut Butter is my absolute favorite flavor combination, so it’s no surprise that I love these Chocolate Peanut Butter Cup Nutter Butter Cookies! 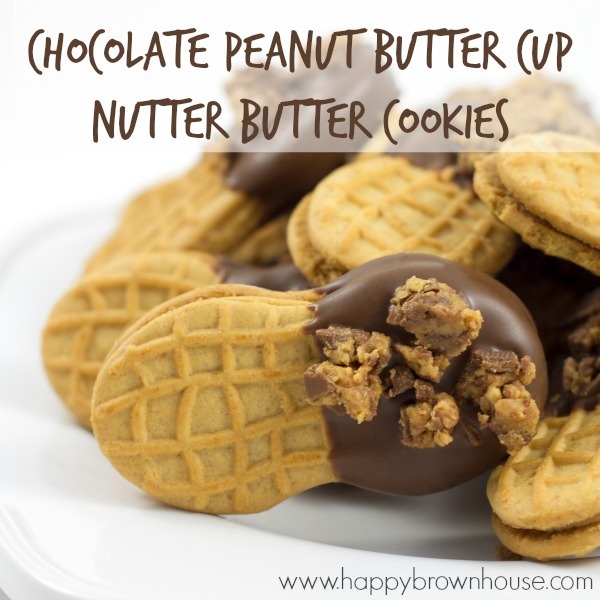 With just a few ingredients, you can make these for the chocolate and peanut butter lover in your life. These would make a great quick snack or an easy dessert to take to a party–I bet they’d be gone first! 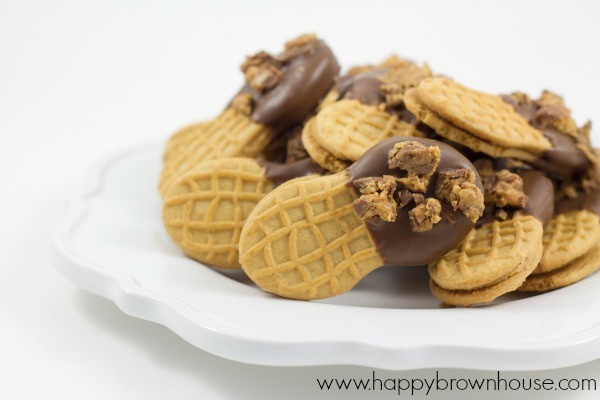 They’d also be great to give as a gift to someone who loves peanut butter and chocolate. 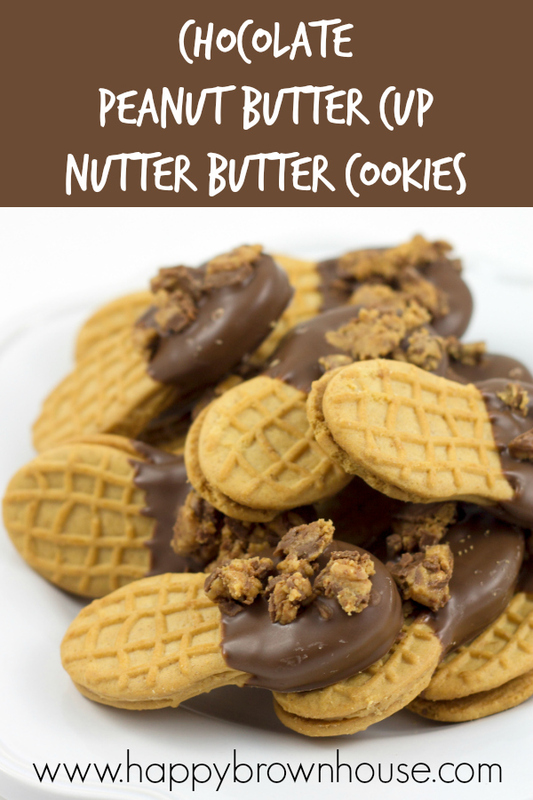 These Chocolate-dipped Peanut Butter Cup Nutter Butter Cookies are the perfect flavor combination. Much like our Valentine’s Day Oreos, St. Patrick’s Day Oreos, or our Patriotic Oreos, these cookies are easy to put together. The part that takes the longest is waiting for the chocolate to dry because you’ll want to devour these immediately! These cookies would be perfect for quick Christmas cookie exchange (although that might be cheating a little! ), a quick snack to take to a party, or just a fun quick kitchen activity with your kids. Kids will love helping you make these…and licking the chocolate off of their fingers, too! These come together really quickly. The part that will take the longest is chopping up the peanut butter cups. Celebrate the perfect marriage of peanut butter and chocolate with these easy semi-homemade cookies. Dip the Nutter Butters halfway into the melted candy. 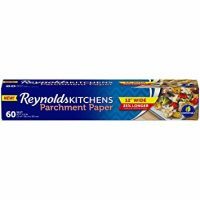 Place the cookie onto the parchment paper. Immediately scatter chopped Reese’s over the melted candy part of the Nutter Butters. 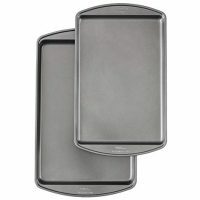 Allow the cookies to harden completely before serving. 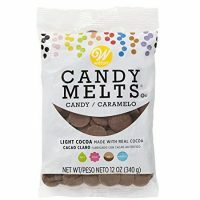 Wilton Light Cocoa Candy Melts Candy, 12 oz.